This is a made to order product and will take a few days to complete and dry the fresh koji rice. We do the first fermentation for you! This inoculation is the hardest part to do and much easier with the proper equipment (steamer, temperature control dehydrator, and drier). 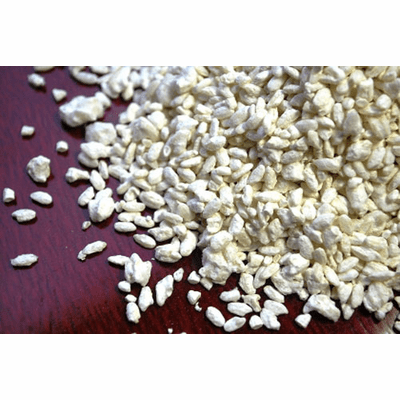 Lightly polished organic sushi rice is cultured with Light Rice Koji-kin Starter. 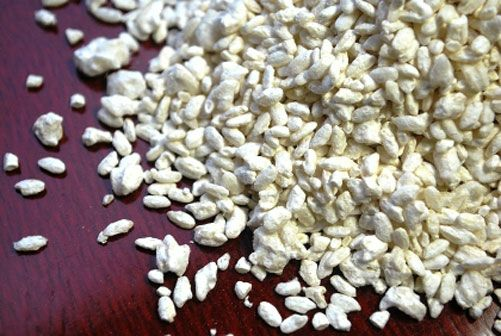 Making your own koji rice is a more advanced culturing process and requires a climate controlled environment. We do this first step for you, making it simple to produce many traditional Japanese cultured foods. 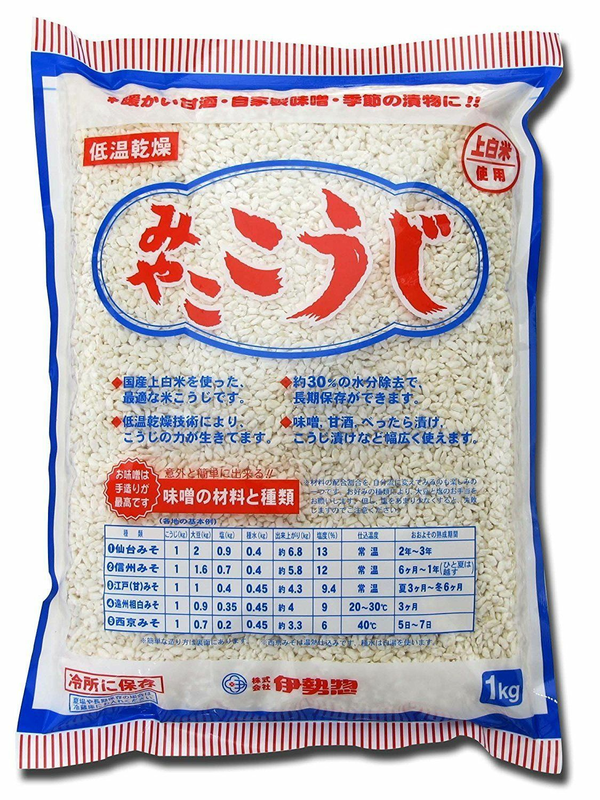 This 1kg package of fresh koji will allow you to make up to 5 gallons of saké, 10 quarts of Amazake, 6 pounds of Miso, lots of pickles or some of each. 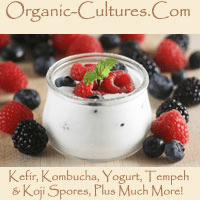 Recipes for Shiro and Shinshu Miso, Amazake, and Koji Pickles are at our main web site - www.organic-cultures.com. 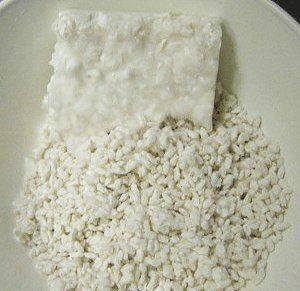 This koji strain is also used to make traditional saké, too. Please refrigerate or freeze any unused portion not to be used right away. Note: This item is recommended to be shipped via USPS Express Mail during the summer months or temperatures over 80 Deg. F. Please select this service to make sure you receive viable koji rice. In winter months, the koji will be fine and can withstand the colder temperatures. 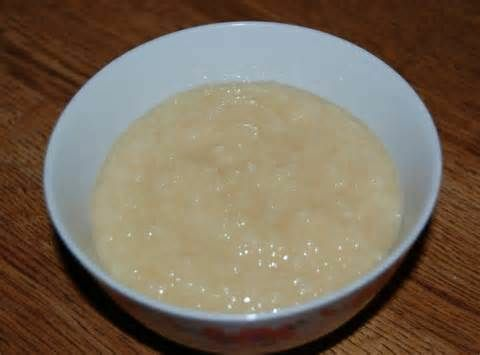 Buy koji rice or koji spores to make many new dishes and meals.